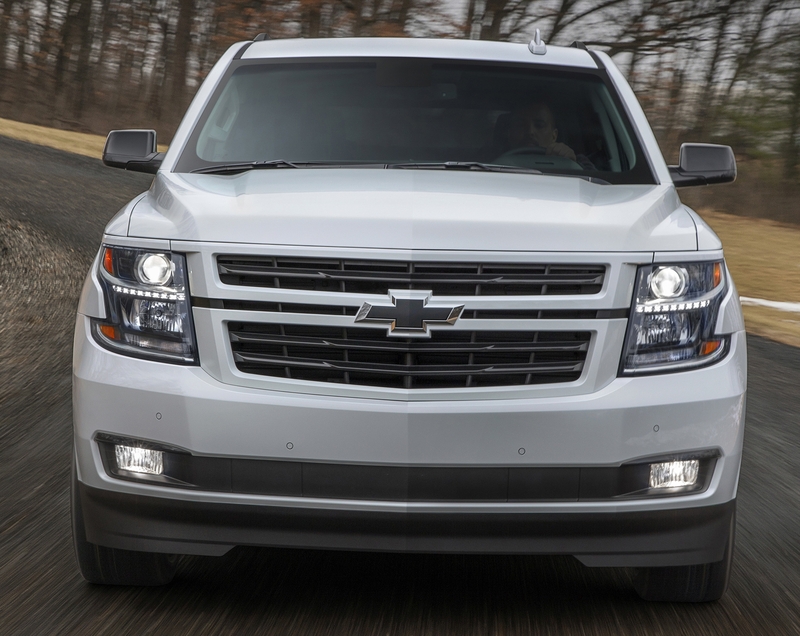 Old Car Memories > SUVs > 2018 Chevrolet Tahoe RST – the Perfect Performance SUV? No words can properly describe the joy of Chevrolet’s announcement that it would be finally offering a muscle car type appearance and performance package for the 2018 Tahoe called the “RST” which is short for “Rally Sport Truck”. Granted there are many fine performance SUV’s on the market including America’s current top dog the 475 horsepower 2017 Jeep Grand Cherokee SRT, but most of these lack a third seating row and lots of cargo capacity. The Tahoe is a large SUV that can seat up to seven or eight people and carry enough luggage for an extended trip. In its current form its exterior is attractive and its 355 horsepower 5.3 liter V8 provides enough power to move its heavy average curb weight of 5,500 lbs. down the quarter mile in 15.2 seconds. This is good performance for a big SUV. The exact details right now are still a little sketchy since the Tahoe RST won’t arrive at Chevrolet dealers for another 5 months. Chevrolet gave a sneak peak of the 2018 Tahoe RST and 2018 Suburban RST in April 2017. 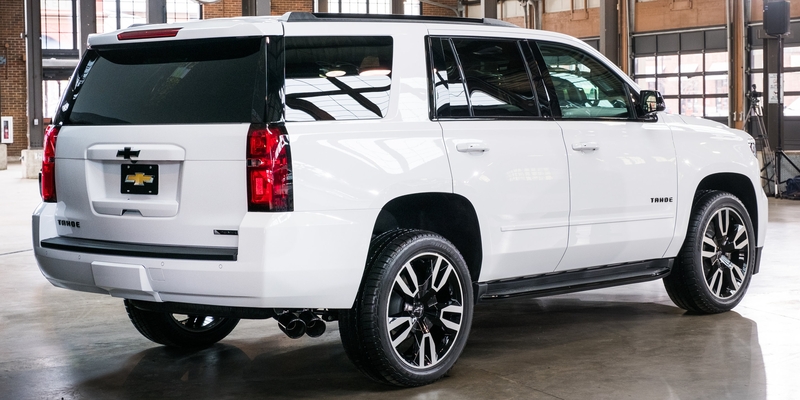 With the RST package the Tahoe’s appearance is now a “10” out of “10” on the sporty scale. The removal of exterior chrome trim and addition of blacked-out trim has given the Tahoe a performance appearance make-over. But it’s the awesome looking 22-inch wheels which are unique to the RST package, that complete the whole exterior look. Mounted to these 22-inch wheels are massive P285-45R22 tires. 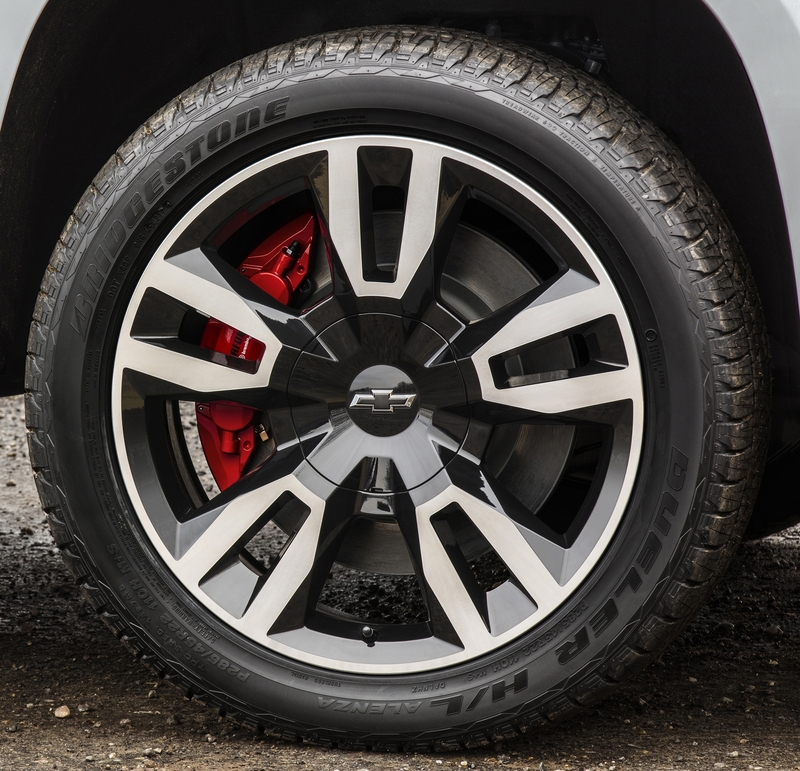 The Tahoe RST isn’t just a pretty face it will have as standard the same 10L80 10-speed automatic transmission that debuted in the 2017 Camaro ZL1. Magnetic Ride Control with performance calibration is also part of the RST package and is sure to make the Tahoe a fantastic handler. Available as an add-on option to the RST is a Brembo braking package. However the crown jewel of the RST package is the addition of GM’s 420 horsepower and 460 lb-ft of torque 6.2 liter V8. The reason this is such good news is that currently in order to get this engine in a full-size GM SUV, you have to buy the much more costly 2017 GMC Yukon Denali or 2017 Cadillac Escallade. The Tahoe RST will be capable of at least high-13 second quarter mile times maybe even mid-13 second quarter mile times depending on how aggressively the 10L80 transmission is calibrated for performance. This isn’t as fast as a Jeep Grand Cherokee SRT but it’s pretty darn close. And when you factor in the extra size and cargo capacity when compared to the SRT, the performance is awe-inspiring. The RST package will be available with both 2-wheel and 4-wheel drive configurations. 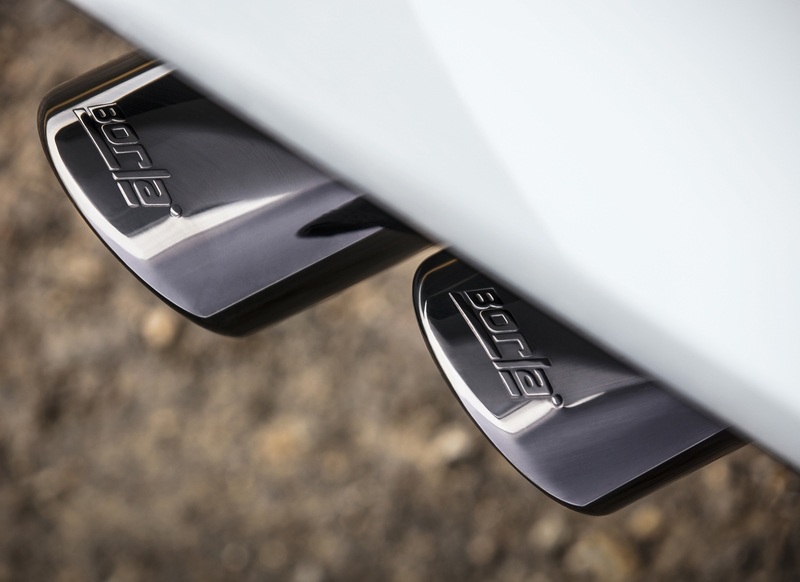 In case you want a little extra power and exhaust growl, Chevrolet is offering a free-flow Borla Exhaust package for additional cost. The only downside to this option is that the two pipes exit behind the passenger-side back wheel. It would have been nice to have a dual pipe configuration where a pipe would exit behind each of the back wheels giving the Tahoe RST a more traditional muscle car look. It’s a small beef, and one most buyers won’t even be concerned with, for it’s the sound that is important. Anyone who has heard GM’s 6.2 liter V8 through a Borla exhaust system, knows it is a mighty sweet sound that is as muscle car as muscle car gets. As previously mentioned, Chevrolet will also be offering its RST package on the even bigger Suburban for 2018. The bad news is that it will be mostly an appearance package. The 6.2 liter V8 and some of the other Tahoe RST performance goodies will not be available with the Suburban RST. 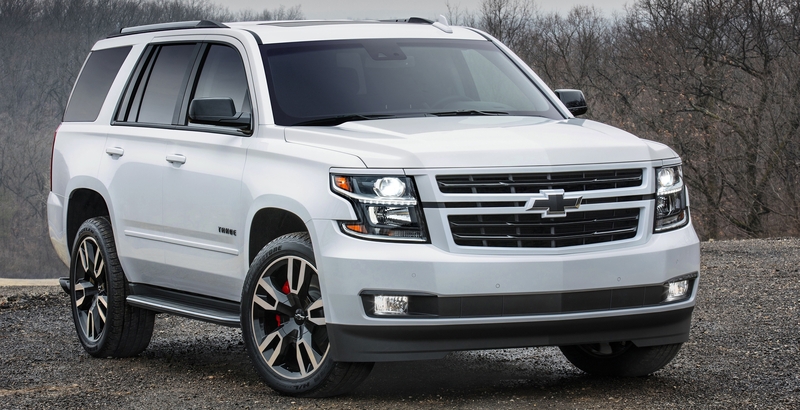 Kudos to Chevrolet for finally offering a true performance package with the Tahoe. It’s going to be a game changer in the performance SUV market. It will offer a lot of performance and looks for a reasonable price when compared to its competition. For anyone wanting a high performance SUV with lots of people space and cargo space, the Tahoe RST will be a must have vehicle. 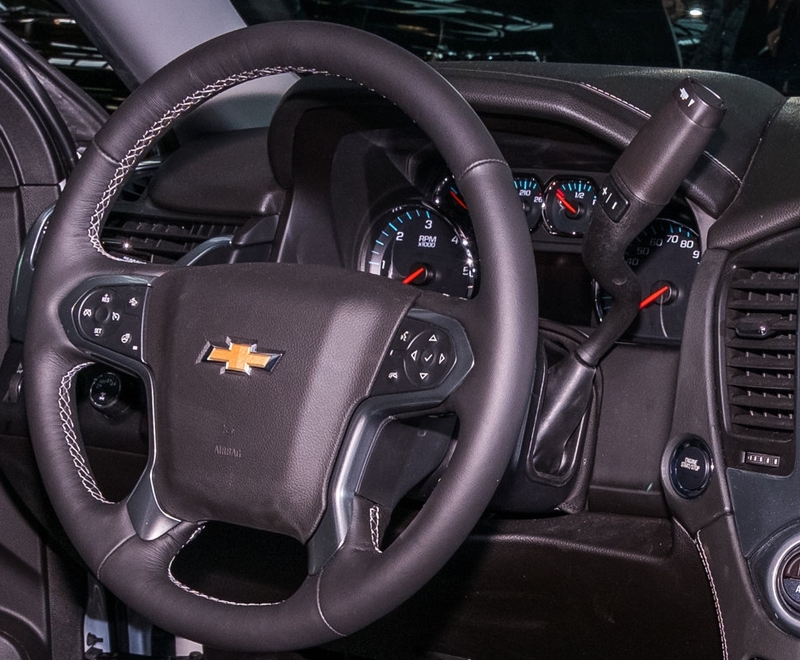 If Chevrolet fixes the issue with the shifter placement, the Tahoe RST would be the perfect high performance SUV.